The Office on Highway Safety conducts the state's highway safety efforts. The office works closely with law enforcement agencies throughout the state to promote highway safety and enforce the laws. A drunk driver causes a fatal crash. And the ripple effect begins. Beyond the obvious impact to the driver and the victim, ripples affect first responders, emergency medical staff, and the people who know and love everyone we just mentioned. Ripples destroy families, terminate friendships, end careers, ruin holidays, and negatively impact hundreds of lives in countless other ways. Assembled here are powerful stories about how the ripples caused by a drunk driver continue to affect people, even years afterward. Rhode Island is serious about drunk driving. Throughout the year, RIDOT coordinates with state and local police for special patrols to crack down on drinking and driving. One of the most important things you can do when behind the wheel is to wear your seat belt. In the five-year span from 2008 to 2012, approximately 130 unbuckled fatalities occurred in Rhode Island. Industry experts agree almost half of these people would have survived had they been wearing their seat belt. That means about 65 people could still be with us today had they been properly restrained. 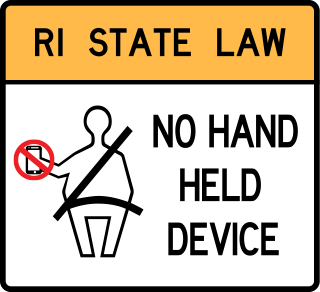 Rhode Island law prohibits texting while driving for all drivers. Additionally, minor drivers are restricted from using any hand-held device while driving. Across the country, distracted driving is a huge problem. Those texting and driving are 23 times more likely to get into a crash - much higher odds than those driving with a blood alcohol content of .08. We work collaboratively with state and local law enforcement to encourage motorists to drive within posted speed limits. Excessive speed is cited in a number of crashes we see each year, especially during bad weather when rain and snow reduce traction and increase stopping distances. RIDOT strongly encourages all motorcycle riders - operators and passengers - to wear helmets at all times. More than half of all motorcycle fatalities in Rhode Island involve un-helmeted riders. Plus, about 40 percent of these fatalities involve alcohol impairment. Car crashes are the leading cause of death in children ages 1-12. Most of us think we have our kids in the correct seat, but in reality we often don't. We and our safety partners offer numerous programs to educate young drivers on safe driving habits. Request a program or demonstration for your school or community group. The Rhode Island State Police provides this machine to show groups of all ages what happens in a crash when you aren't buckled up. The simulator is available free of charge on a limited basis from March to October. The R.I. Attorney General's Office arranges dozens of assemblies for high schools across Rhode Island to talk about the dangers of texting while driving. In partnership with AT&T, the "It Can Wait" program features a powerful documentary on the consequences of impaired driving and encourages students to take a pledge not to text while behind the wheel. Brain Injury Association of R.I.